Alex Farah knows the transformative power of film. Now the Queensborough resident is hoping a financial challenge won’t trip up his transformation into a filmmaker on the cusp of a breakthrough. Farah, 24, has been accepted into the Director’s Conservatory at the prestigious American Film Institute in Hollywood. 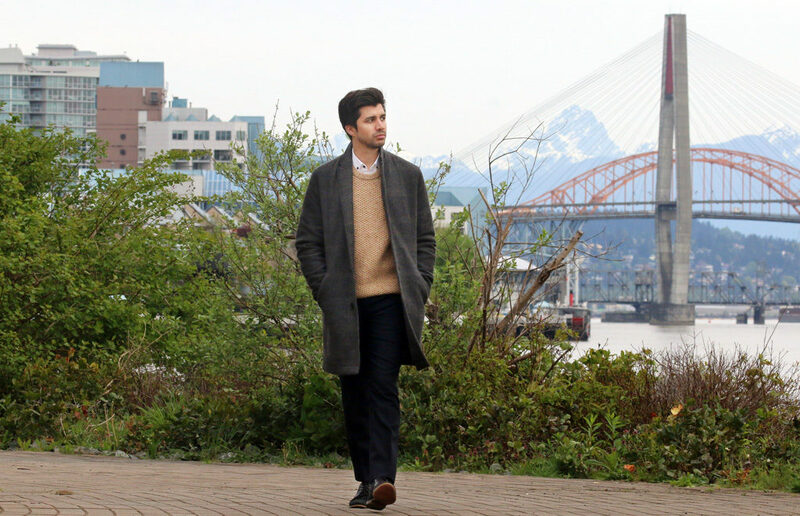 It’s a huge step forward in the budding career of the Emily Carr grad whose student thesis short film, Sahar, was nominated last year for five Leo Awards, the top honour for films produced in British Columbia. But it comes with a cost; more than $200,000 calculates Farah. That’s to cover tuition, living expenses and incidentals through the course of the two-year program that’s produced notable alumni like David Lynch, Darren Aronofsky and Terrence Malick. 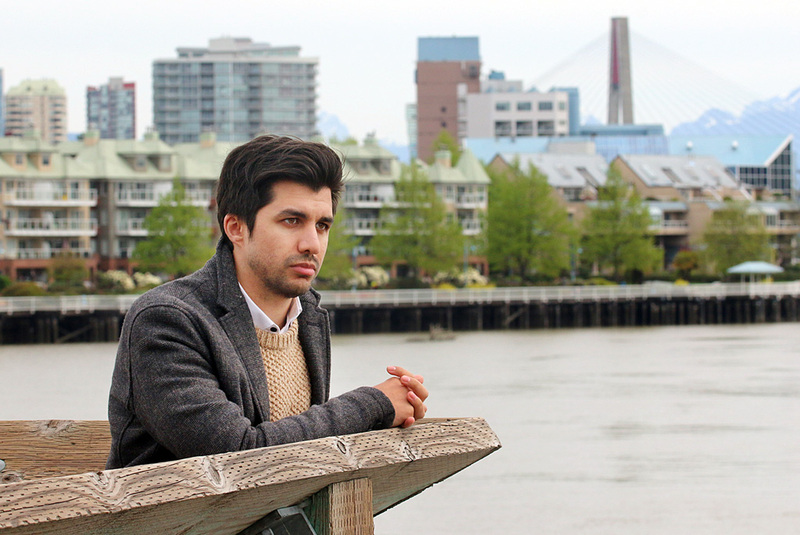 Farah’s path to filmmaking started while he was studying sciences at UBC; he took a couple of film courses out of interest and discovered a medium that could allow him to explore some of the cultural challenges of being an Afghan immigrant. He shifted gears and enrolled at Emily Carr, where he learned every aspect of his new passion, from writing to cinematography to editing. Farah also ran headlong into the expense of becoming a filmmaker. His student short, which was based on the real-life Shafia honour killings in 2009 of three teenage sisters and their step mother whose bodies were found in a car in the Rideau Canal in Kingston, cost $5,000. He assembled the money from six years of making lattes at Starbucks. It debuted at the Toronto International Film Festival. Getting a film seen on the festival circuit also costs money, for submission fees, shipping, promotion, even travel to the festival if filmmakers want to take full advantage of its networking opportunities. “You’re never really making back the money you put into your film,” said Farah. The short film Alex Farah made as his graduation thesis at Emily Carr was nominated for five Leo Awards. Now he’s hoping to take his filmmaking aspirations to the next level by attending the American Film Institute in Hollywood. So many young filmmakers take advantage of the internet, submitting their projects to websites like Short of the Week. That’s what Farah did, which led to greater exposure as a Staff Pick on the streaming video portal Vimeo as well as a number of film blogs. Earlier this month Sahar was presented at the Moov film festival in Brugge, Belgium. But that achievement pales in comparison to the effort Farah put into his application to AFI, which involved an interview, writing four essays as well as scripting, producing and directing a five-minute short on the theme of surprise. This Is Not a Reel from Alexander Farah on Vimeo. The process took about a month, including two weeks dedicated to the film, which he shot in an audition studio at a Vancouver talent agency where he’s currently interning. Farah said the opportunity to attend AFI is a chance to make connections in the film industry and develop his filmmaking skills with some of the brightest young talent from around the world; only about 100 students are accepted into the school every year, which also has academies for scriptwriting and cinematography. Shortly after Farah learned he was accepted earlier this month, the financial reality hit him. “It’s super overwhelming,” said Farah. Since then he’s reached out to his connections from Emily Carr and the local film community, explored student financial aid, arts grants, even met with loan officers from banks and credit unions. But all those sources still leave him short of his needs. Farah said he’s thought about crowdfunding, but he’d rather save that step for when he’s prepared to make his next film. Which he’s hoping he’ll be able to do. Previous PostPrevious Well Nobody Told Me!